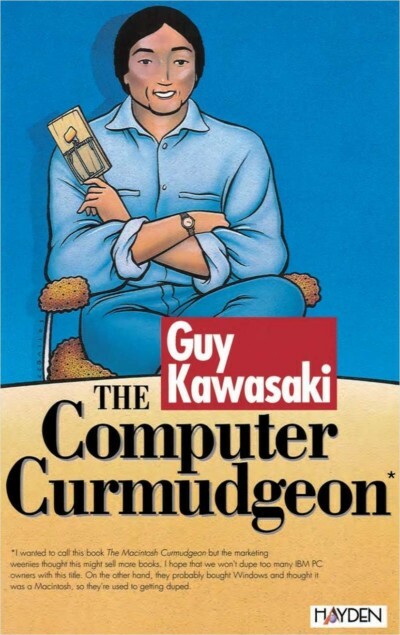 The Computer Curmudgeon was a work of pleasure for Guy. Consider it a wink between he and his readers. In this book Guy defined, in real-world ways, the terms that computer users encounter. For example, “Apple marketing: the largest group of migrant workers in California.” This book was published in 1993, so there are many terms that didn’t exist then. But it’s hard to beat for nostalgia. “The Computer Curmudgeon is perfect for anyone who wanted to smack a video monitor with a baseball bat.” Jon Winokur, author of The Portable Curmudgeon. “If Mark Twain were alive today he might have written this book. To be accurate, if Mark Twain were alive today, he’d be scratching on the lid of his coffin, screaming for help.” Harry Anderson, magician, TV personality, and Macintosh fanatic.